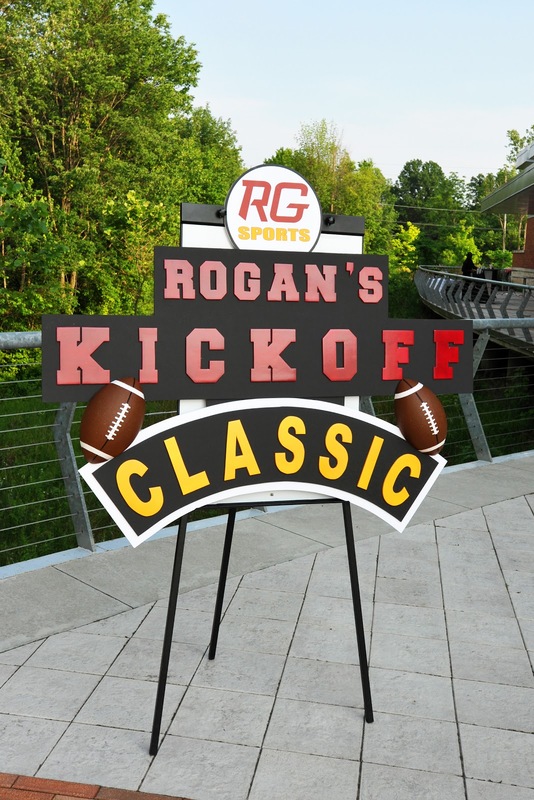 Rogan’s Kick Off Classic Bar Mitzvah Celebration was held at the Monon Center in Carmel. 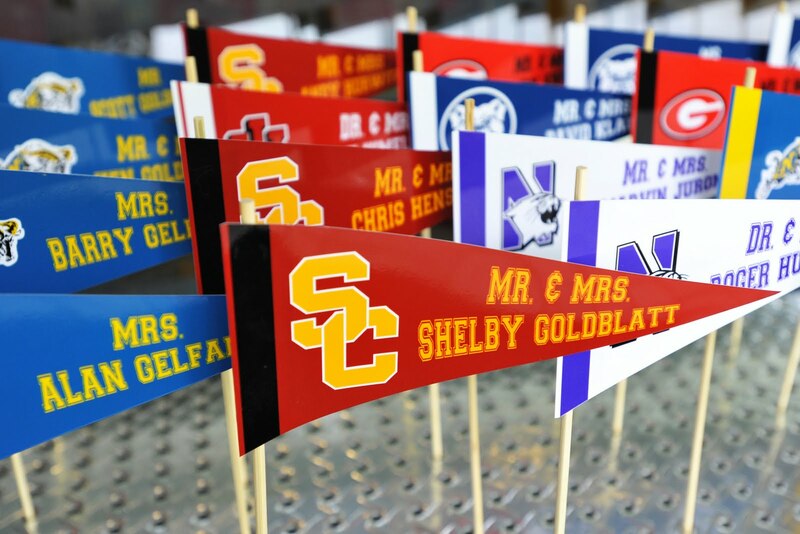 Rogan loves college football and particularly loves USC so we created his Bar Mitzvah to showcase his favorite college football teams. The guests went home with their hands full of all kinds of custom party favors from Goldleaf Promotions. 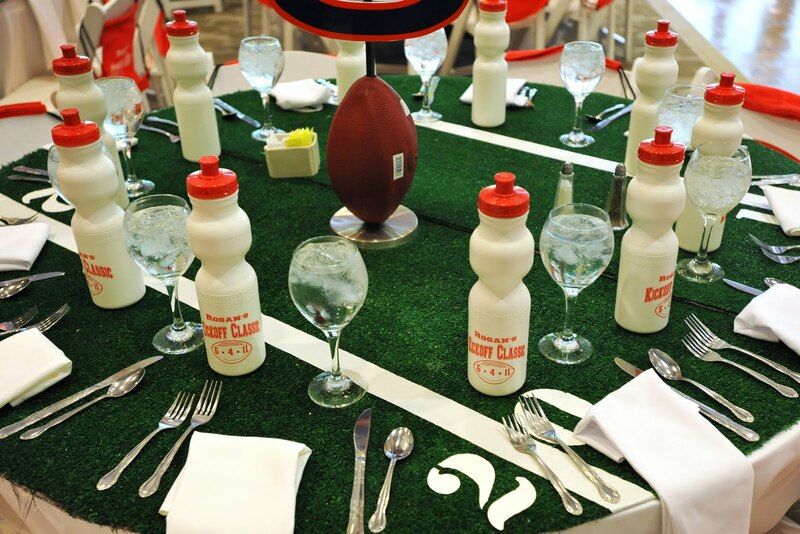 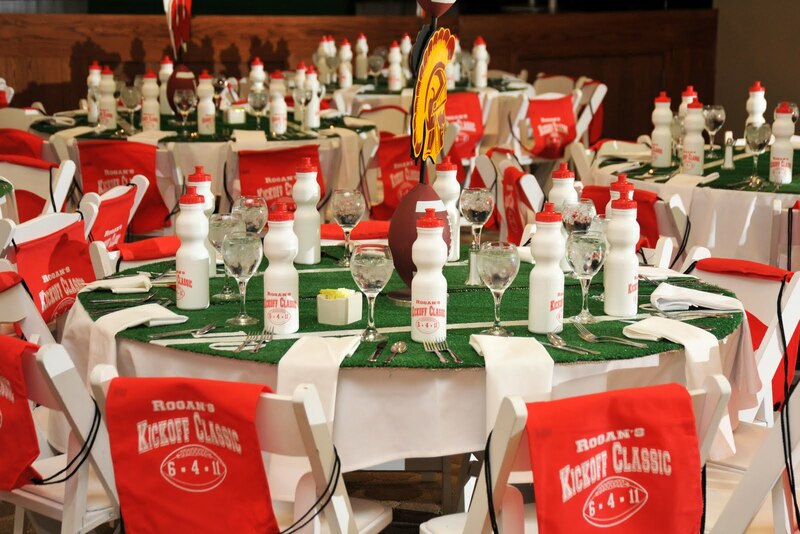 Some shown here are these cool custom water bottles and custom back packs that we placed on the backs of each chair to serve as a chaircover. 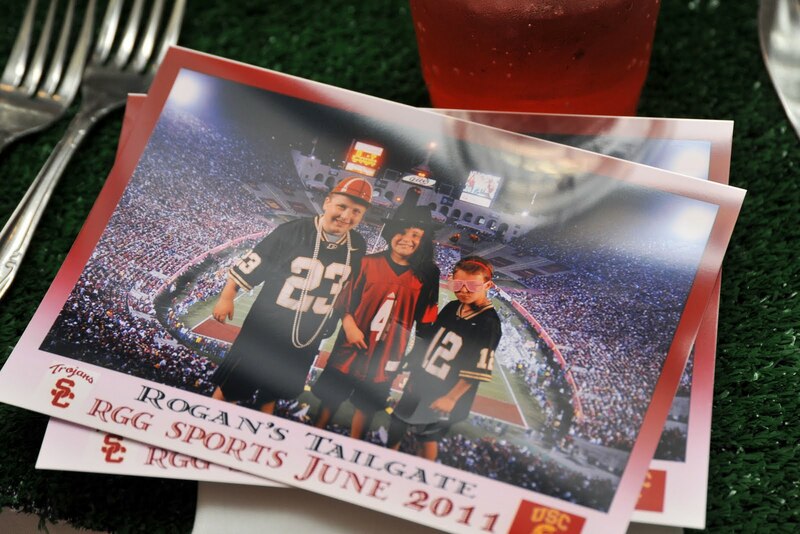 There was also a photo station featured by King Shots, where the guests stood in front of a green screen and the image was superimposed into the USC stadium. 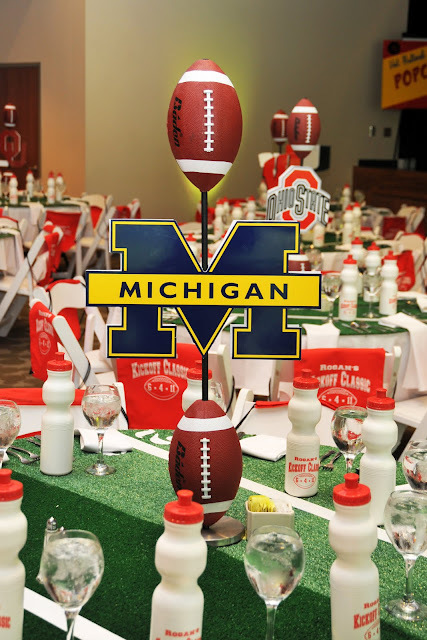 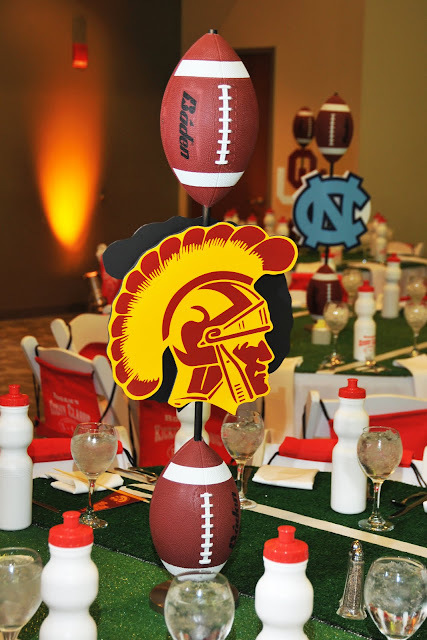 Each table centerpiece represented one of Rogan’s favorite college team. Placecards were team pennants with guests names printed on each one. 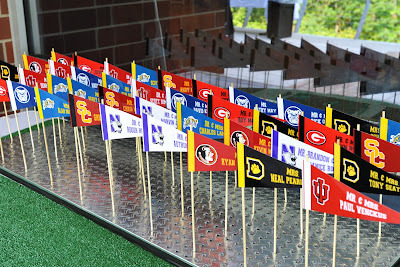 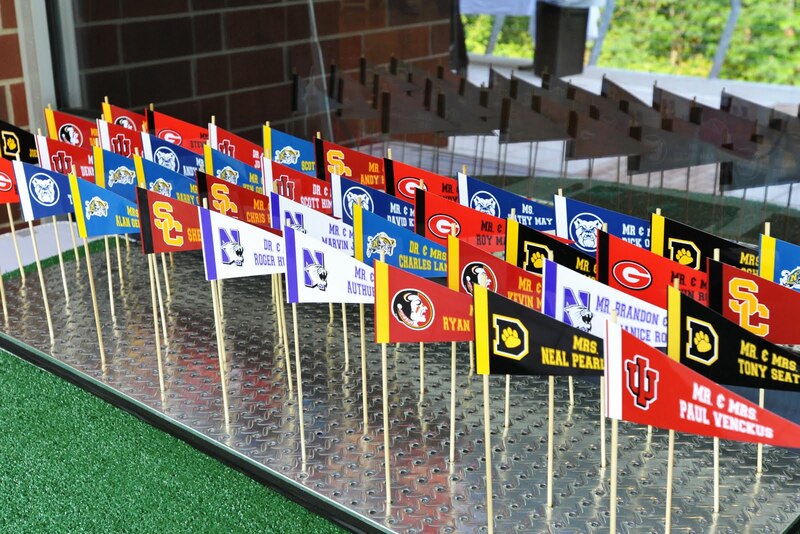 Team flags were hung above each table to help guests identify each team table. 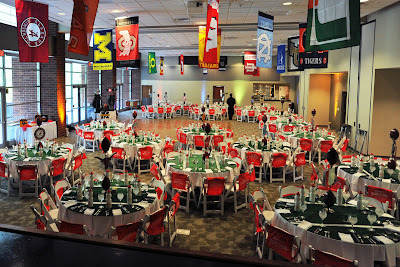 All of the beautiful pictures were taken by the talented Sue Huffer of Sue Huffer Photography. 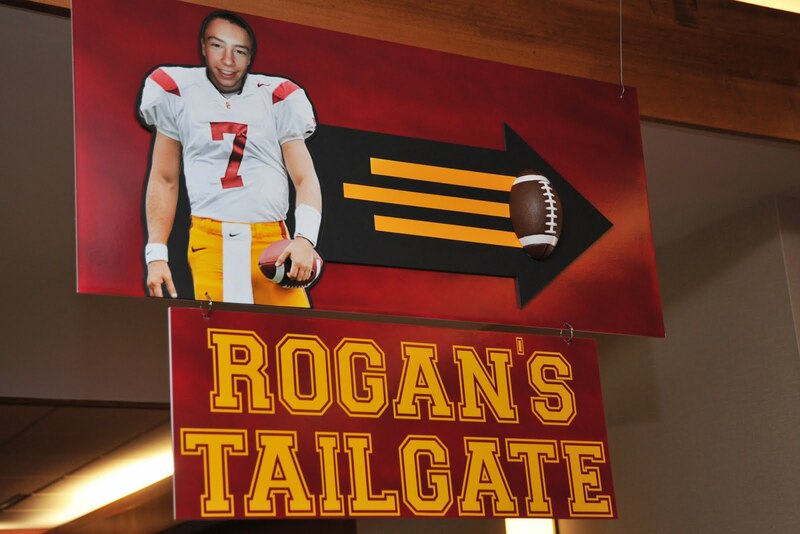 This entry was posted in Bar Mitzvah, College Football, Tailgate on June 28, 2011 by Setting the Mood.